Viking Vets - Laboratory - Your local vet based at Chevening, Station Road, Henbury, Bristol BS10 7QQ. 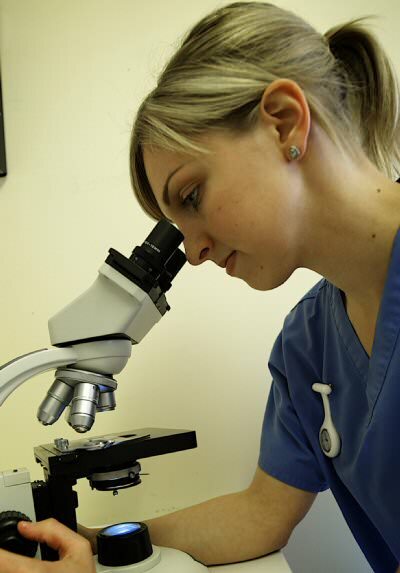 We have a separate laboratory on site at Viking Vets. This mean we can get results from blood samples within minutes. We often take a blood sample at the beginning of the consult and have the result at the end, which has impressed more than one doctor! The amount of tests we can do on blood, urine, faeces and tissue is mind-boggling. We work with numerous external labs to get the best service for you and your pets. We will discuss why we do these tests with you and the cost of them. Our aim is to be able to diagnose what is wrong with your pet and thereby treat them appropriately.